A South African court has issued an interim order stopping Sudan's leader Omar al-Bashir, who faces war crimes charges, from leaving the country. The Pretoria High Court says Mr Bashir must stay until it rules on Monday on whether he should be handed over to the International Criminal Court (ICC). 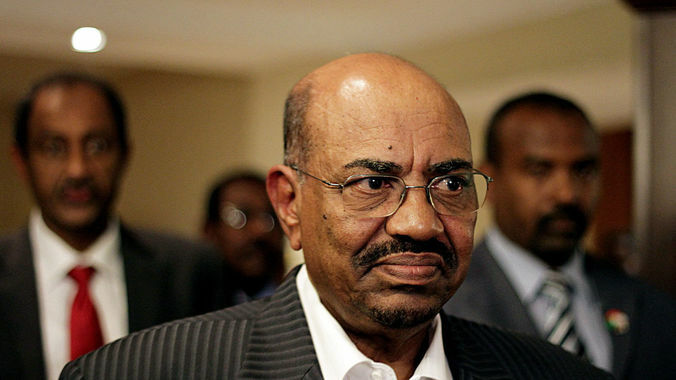 President Bashir is in Johannesburg for an African Union (AU) summit. He is accused of committing war crimes, crimes against humanity and genocide during the Darfur conflict. About 400,000 people have died and more than two million have fled their homes since rebels took up arms in 2003, the UN says. Government forces and allied Arab militias are accused of targeting black African civilians in the fight against the rebels. President Bashir was welcomed by South African officials as he arrived in Johannesburg. After the court announced it would rule on a request to arrest him, he posed for a group photo with other African leaders. The High Court initially said it would issue its ruling on Sunday. But it later postponed the hearing until Monday, when the summit is due to end. There are tensions between the ICC and the AU, with some on the continent accusing the court of unfairly targeting Africans.